Wisconsin State Senators Tim Cullen (D-Janesville) and Jon Erpenbach (D-Waunakee) and University of Wisconsin-Madison Political Science Professor Barry Burden will address the Common Cause in Wisconsin State Governing Board on political reform issues and opportunities during 2012 on Thursday, January 26th in the State Capitol Building. The CC/WI meeting will be held in Assembly Hearing Room 328 - North-West of the Capitol beginning at 11:00 AM. 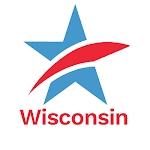 Professor Burden will begin his presentation at 11:05 AM on the current redistricting situation in Wisconsin and then take questions from the board (and media) until about 11:30 AM. Senator Cullen will begin his presentation on political reform at 11:30 AM and speak for 10-15 minutes followed by questions until about 12 Noon. Contact Jay Heck at 608/256-2686 (cell: 608/512-9363) with questions. The meeting is open to all CC/WI members and to the public. However, please call or email ccwisjwh@chorus.net if you think you would like to attend. Thursday: Senators Cullen, Erpenbach & UW-Madison Professor Barry Burden to speak on Political Reform in Capitol at CC/Wisconsin MeetingTweet this!